enrich instruction to dramatically improve students' problem solving skills and performance in any subject area at any level. The eMINTS acronym, enhancing Missouri's Instructional Networked Teaching Strategies, reflects the program's geographic origin. eMINTS programs, however, are now being implemented across the United States as well as in Australia. 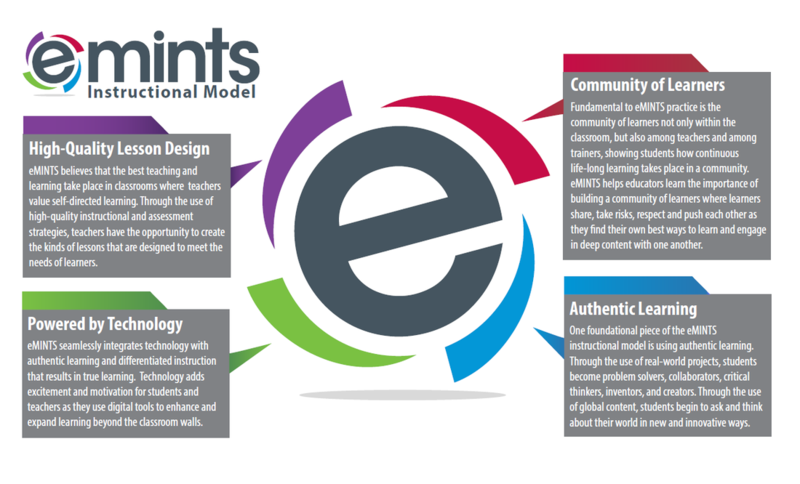 Comprehensive eMINTS materials encompass eMINTS Competencies for Digital Age Teaching and Learning.